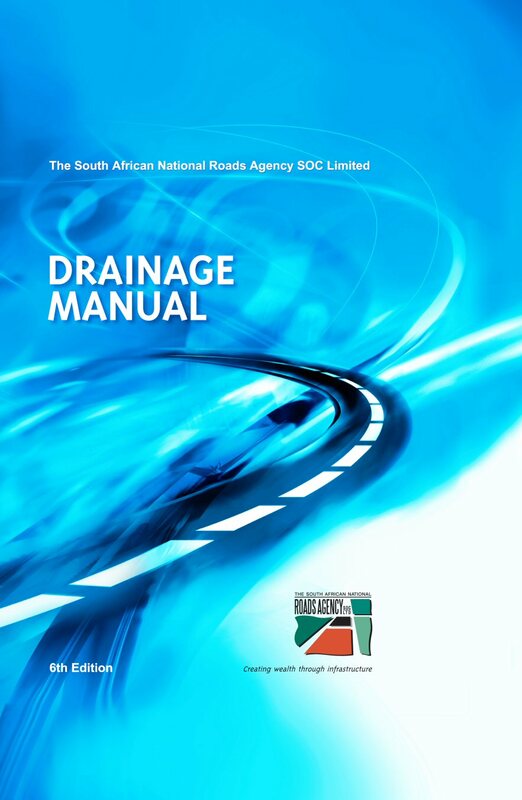 Drainage Manual The SANRAL Drainage Manual 6th edition (released Jan 2013). The Sinotech team was involved with the update and extension of the new South African National Road Agency Limited’s Drainage Manual. The 6th Revised Edition of this popular manual is now available from SANRAL. The large number of copies of the original Road Drainage Manual (1981 version and subsequent updates) that have been sold since then, as well as the large number of persons who have attended courses on the application of the manual, were proof of the need for such a document. It is especially necessary in the Southern African context to provide manuals for the local designers since they have fewer opportunities to consult with specialists. Whilst a Drainage Manual must cater for this reality, it remains true that only persons with the necessary insight and experience may deal with major drainage components, as well as with complex situations such as scour at bridges. As in the original RDM, recommendations are made regarding methods of calculation, coefficients and design criteria for general use. In contrast with textbooks, theories are quoted only briefly with the emphasis rather on the application of the theories. Wherever possible, available information has been sorted through so that only the most useful information giving reliable answers, is given in this manual. Reference to applicable software utilities and user manuals for the programs. Feedback, comments and suggestions from users of the previous editions of the manual have been incorporated where possible. This edition of the manual still covers all the previous background theory but has been extended to include additional flood calculation methods, the analyses and design of stormwater systems, the hydraulic assessment of existing culverts and the modeling of free surface flows and flood line calculations. With the further expansion of the manual it was deemed necessary to separate the manual into two distinct documents; the first being the Drainage Manual and the second being the Drainage Manual Application Guide . To obtain a hard copy of the document contact SANRAL or visit their website to download the full document or the Application Guide. Software that complements the Drainage Manual document has also been developed by Sinotech called Utility Programs for Drainage. Click on the link to review the software. © Copyright 2017 Sinotech CC. All rights reserved.